Marriage licenses are available from the Health Services Administration Unit of the Department of Health and Social Services in Inuvik, NT. You may also obtain a marriage license from a Marriage License Issuer, located in many Northern communities. For the name of the Marriage License Issuer nearest you, please call the Department at (867) 777-7420 or 1-800-661-0830 (toll-free). There is currently a $60 fee for issuing a marriage license. Please confirm that the fee is the same when you call. 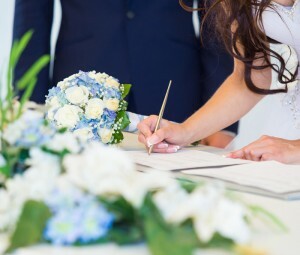 In most cases you will have to make an appointment with the Marriage License Issuer.